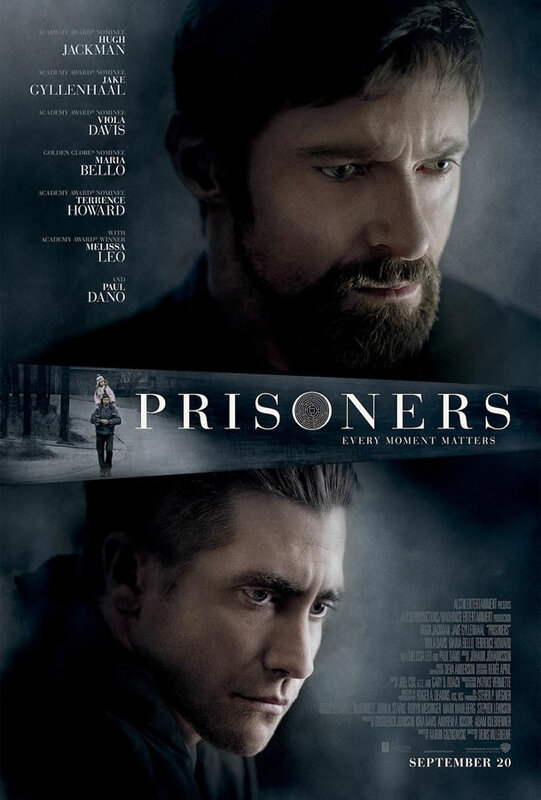 A riveting, engaging 153 minutes crime drama with career best performances by both Hugh Jackman and Jake Gyllenhaal. Director Denis Villeneuve and writer Aaron Guzikowski have given us a very well and tightly written crime drama (not thriller, per se, as this is very much a drama) that weaves red herrings, drops seemingly unimportant plot points and stretch the unwavering tension throughout in a well-paced (slow to some, no doubt, who prefers the usual Hollywood fare) and intelligent manner. Of course, all this is for nought, if there was not the very strong cast that Villeneuve has assembled. Jackman, in a role that is more deserving of an Academy Award nomination than Jean Valjean, has the more showy role and he was brilliant. He is the character that you hate yourself for sympathising with, an anti-hero due to circumstances; his choices conflict with his morality and Jackman aptly displayed the emotions and pain that such decisions has caused him. For a while, you can finally lose the Wolverine in him. However, he still had moments where he was just shouting the lines. Gyllenhaal, on the other hand, got the more introspective role. But that does not mean that he was not outstanding. He got into the character so fully, that you don't see Gyllenhaal (although there are times where it was reminiscence of "Zodiac", although that could be blamed on a similar subject matter confusing the roles). He is the hero that you want to succeed, but the obstacles in his pass just bring out his frustrations and his innate fear of failing. Failing himself, and the failing the victims. Gyllenhaal brought all that out. The supporting cast was top-notch too in particular the ever brilliant Viola Davis, the chameleon-like Melissa Leo and Paul Dano who has gotten himself a niche role in indie productions but was sympathetically wonderful here. Terence Howard and Maria Bello round out the rest of the cast, but their roles were not written as strongly. Kudos goes out to Rogers A. Deakins again for framing such beautiful cinematography, and to Johann Johannsson for an effective score especially the cellos and the strings to notch up the tension. However, most praises must be lavished on director Villeneuve for creating a riveting drama, and Guzikowski for writing a thoroughly engaging and intelligent crime fiction. Except for the last scene, which seemed a bit too neat after all that had happened before that.